The maths pyramid is a worksheet that can be used in the classroom. It is a problem solving math puzzle where the student completes a pyramid and tries to figure out which number goes on top. 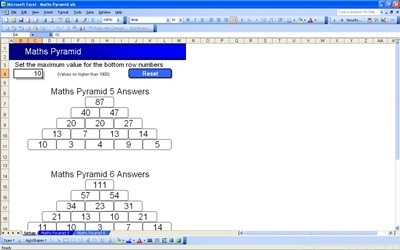 The teacher can change the empty boxes so that the student is challenged with the pyramid. Who Can Benefit from the Maths Pyramid? Teachers will benefit because they can use the pyramid for students who excel in the class. Students will benefit because they will have to think about the numbers and where they need to go before they complete the puzzle.